After spending one full day and night in Amelia Island, we travelled back to Jacksonville. Jacksonville is your typical big city. Besides eating and drinking, we really did not explore the city much. We had an AMAZING dinner at Orsay which is one their most renown restaurants! 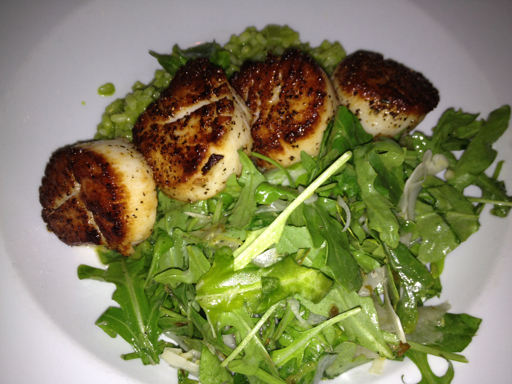 The foie gras appetizer was savory as well as my entree of scallops. You have to check this restaurant out if you go to Jax! Another cool gastropub that is great if you want a greasy lunch/brunch is Kickbacks, which according to our friend is a "Jacksonville institution." 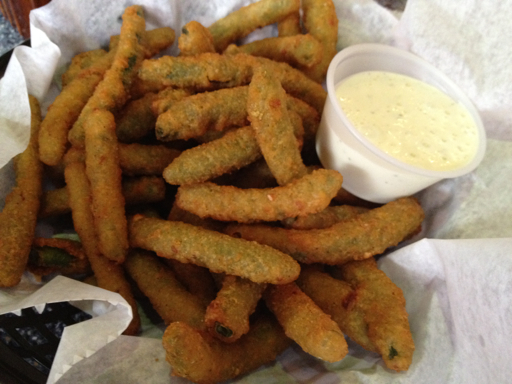 Don't miss the fried green beans here! 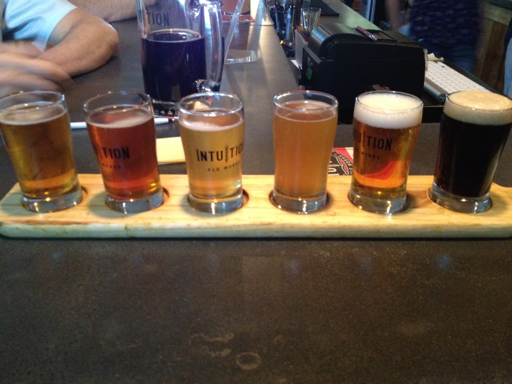 Our friend also took us to this awesome brewery, Intuition. I highly recommend getting the sampler where you get to choose 6 different beers to try. Late night, we went to Dos Gatos which is a swanky lounge in downtown Jacksonville. The bartenders really take pride and spend a lot of time in preparing their specialty cocktails so make sure you get one of these if you visit this place! After visiting JAX, we drove up the coast to Charleston! I can't wait to tell you about Jekyll Island, one of the places where we stopped along the way!